Vagabond Press | Me fail? I fly! It’s common wisdom that learning poetry by heart is a good thing, because – besides being able to surprise and delight your friends – it’s a way of making the poetry your own, inscribing it on yourself (as Dan Beachy-Quick said memorably, here). Reading David Malouf’s Sky News, I realised that, memorised or not, I haven’t really read a poem until I’ve heard it in my own voice, at least internally. I’ve loved hearing David read his poetry ever since he made sunlight glint off milk churns and today blaze from a lapel in his 70s imitations of Horace. But there’s a different pleasure in taking the poems into oneself. and being moved by the left hand, which doesn’t lend itself to quotation because it’s often there by implication or comes into the foreground only in the final moments of a poem. dog in this dog-house, Hades. In Heine’s poem, the speaker moves from a cheerless contemplation of his approaching death to a grim acknowledgement that the most vulgar of the living are better off than the noblest dead, so in the end by implication what does art matter? In Malouf’s, the mood is less gloomy – it’s still a poem about age and mortality, but the scales tip towards a celebration of life – it’s not that art is futile, but life is the thing. 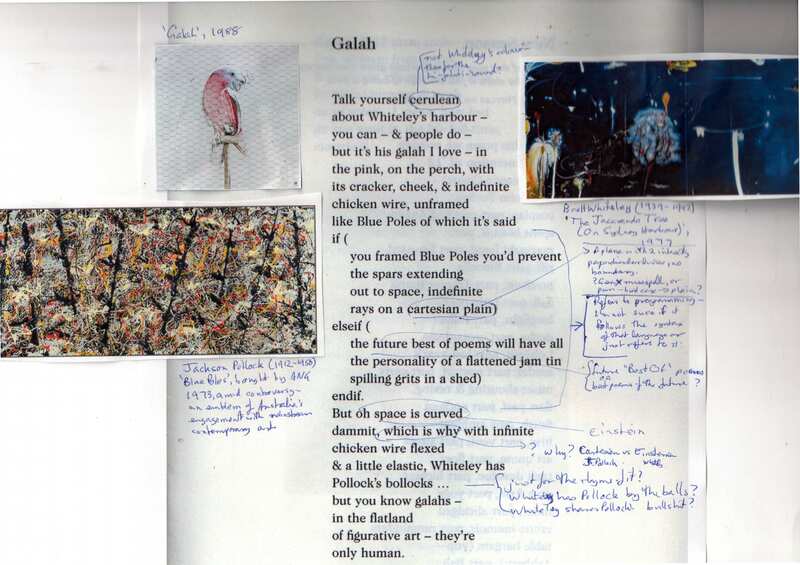 Perhaps even more than Adamson’s, Adam Aitken’s cool, postmodern, intercultural poems abound in allusions – not in an arrogant bugger-off-if-you-haven’t-read-Rimbaud way, but more in a let’s-have-some-dislocating-and-provocative-fun way. I went googling quite a bit as I read November Already: John Clare (hardly an esoteric reference, but I hadn’t read anything by him), Rimbaud (I couldn’t find the arachnid referred to in ‘Rimbaud’s Spider’, so I don’t know what I’m missing, but enjoyed the poem anyhow), Ezra Pound (who wrote a travel diary, A Walking Tour in Southern France), Raymond Roussel (I found a note on Adam’s blog that helped hugely in reading the poem ‘Rousselesque’). Likewise, I think of Aitken as an urban poet, so when he misspells ‘chicken coop’, it doesn’t read as a mistake, deliberate or otherwise, but as the equivalent of a visitor from the city wearing shiny shoes in a cow paddock, adding to the edgy feel of the poem. when radiance blurs the future. Michael Brennan of Vagabond Press says this series will come to an end at 100 titles. That means there are 11 to go, and the distinctive design, with pasted-on cover art by Kay Orchison, will sadly be no more. 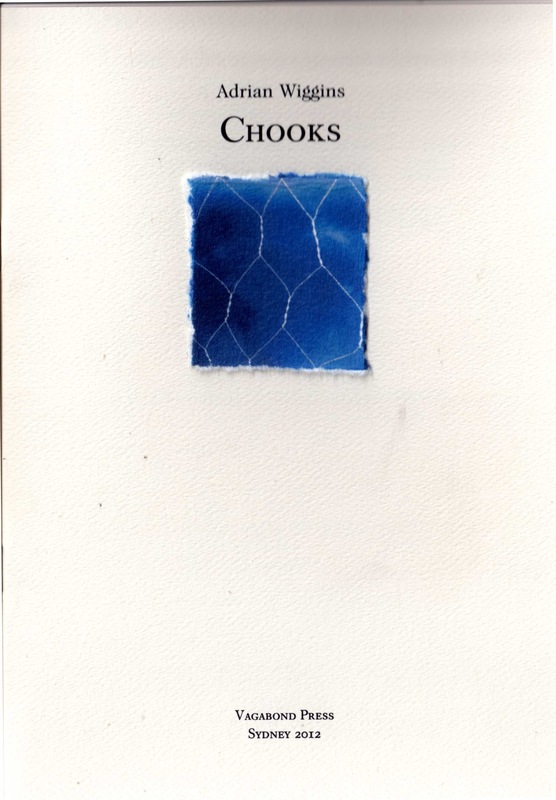 Like other Rare Objects chapbooks, Kami is beautifully crafted. 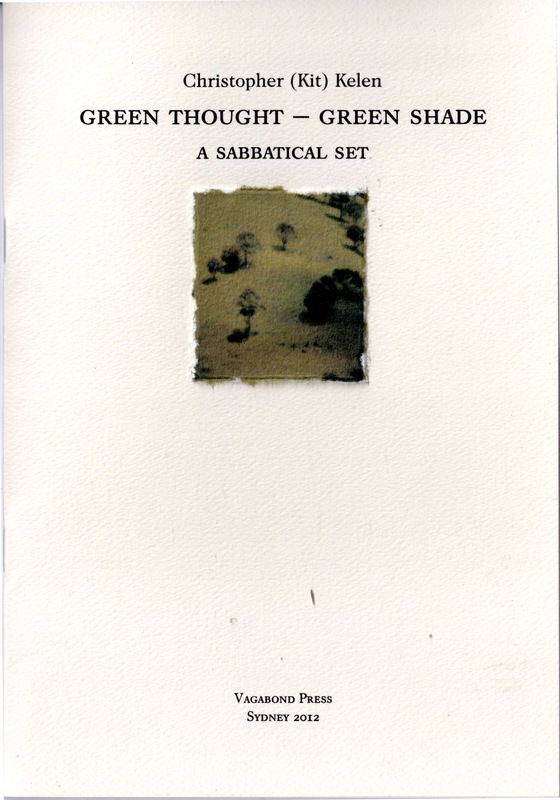 A hundred copies were printed, signed by the author, with a small, square, torn-edge print of an Australian desert landscape glued to the cover. I mean no criticism when I say it reminds me of a tasteful bijou hotel, each guest/poem with a room/page to itself. Ali Cobby Eckermann is a Yankunytjatjara woman, and the guests, it turns out, aren’t as genteel as that analogy might suggest. They don’t trash the rooms or anything of that sort, but they raise their voices any way they want. There’s throwaway surrealist satire (‘Pauline Hanson’, about a giant carrot), poignant domestic vignettes that shed light on the stolen generations (‘Comical’ and ‘Sink’), astringent comment on the intersection of sexism and racism (‘Intervention Allies‘), a sweet-sad love song (‘Kami‘ – at the link it’s the first of five ‘Yankunytjatjara Love Poems’), C&W dramatic monologue (‘I Tell Ya True‘ – click to hear Joe Dolce sing his own musical version), and so on. It’s a wonderfully diverse set of poems. There’s a massacre in Ruby Moonlight too, though most of the book is about what happens next for the sole survivor. Subtitled ‘a novel of the impact of colonisation in mid-north South Australia around 1880’, the book is a lot slimmer than you’d expect of a novel, just 80 pages all up, and you’ll look in vain for the lecture that subtitle might suggest. This is spare, restrained story-telling. If it wasn’t for the power generated by the flash of imagery, it would feel like notes for a novel rather than the thing itself. It’s a story of ill-starred love. A young Aboriginal woman survives the murder of her community and after wandering for some time with just nature and an ancestor spirit for company, she finds companionship and intimacy with an isolated Irish fur trapper. Their idyll, forbidden by both their cultures, can’t last. You might think you know this story before you open the book. You don’t. I want to use my poetry to educate Australians, to overcome their innate fear of Aboriginal people. Most Australians have never met an Aboriginal person outside school, sport or work. I want to highlight the benefits that Aboriginal people can provide through friendship and equality, and highlight the dangers of racism and judgmentalism. I have been happy with the heartfelt responses from festival audiences, and the new friendships shown to me and my family. MB: Do you see your work in terms of literary traditions and/or broader cultural or political movements? Ali Cobby Eckermann: I think it is impossible to be an Aboriginal writer, and be free from a political view. I always use cultural ethics in my writings. Some of my poetry has a unique style, due to my life between my adopted German Lutheran family and my traditional Yankunytjatjara family, who have also adopted the Lutheran religion. I hope my sense of truth becomes my literary tradition!